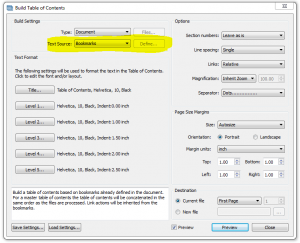 The Build Table of Contents dialog will open and you will see a range of options. The key option for building a TOC from bookmarks is in Build Settings > Text Source > Bookmarks. You could simply click on Preview and then Build and your TOC would be automatically generated based on the existing bookmarks in the PDF. If you wan to refine appearance of your TOC then in the Text Format section you’ll see the options to control the font, size and indentation of the bookmarks. There are additional properties that can be set in the Options section such as line spacing, magnification and so on. 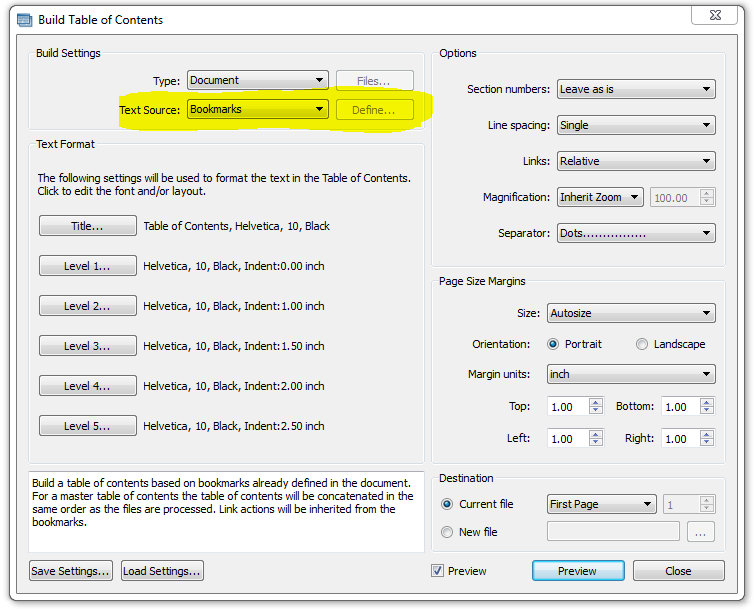 As you can see their are minimal steps involved in creating a TOC from existing bookmarks in your PDF files.